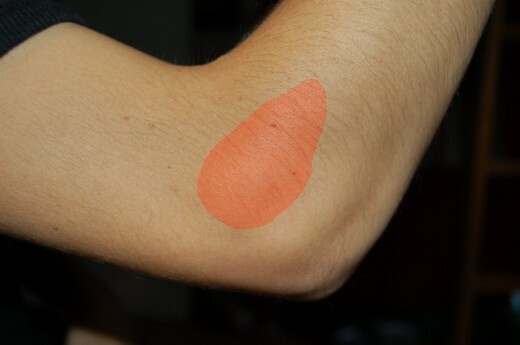 This article is a direct continuation of my previous two articles on Tennis Elbow. So if you've reached this article from a link, please go through them first. Let the patient has Right Tennis Elbow. The patient sits on a chair near a table facing it. The patient keeps his bend right elbow on the table in such a way that the right elbow is flexed (bent) approximately to 45 degrees with the anterior aspect(front side) of the right forearm and the palmar aspect (front side) of the right hand facing upwards. The right wrist and the right fingers are held straightened. 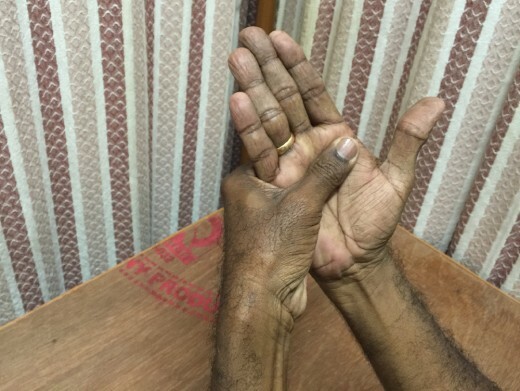 Now the patient holds his right hand with his left hand in such a way that the fingers of his left hand lies on the dorsal aspect (back side) of his right hand and his left thumb lies on the palmar aspect (front side) of his right hand. Now the patient tries to extend (straighten) his right elbow (the right wrist and the right fingers still held straightened) while a resistance is offered against the ‘straightening force’ by his left hand which is holding it. Ie. The effort of the patient to straighten the right elbow is opposed by an equal and opposite force (resistance) offered by the left hand which is holding the right hand. Hence no movement occurs at the right elbow. But the muscles on the extensor aspect (back side) of the right forearm contract isometrically. Ie. The muscles contract without movement occurring at the right elbow. Hold the right forearm in that maximum contracted position for 2 seconds. Now relax. Repeat the exercise 5 times, thrice a day. Repeat the same exercise with the right elbow held at varying degrees of flexion. The patient sits on a chair near a table facing it. The patient keeps his bend right elbow on the table in such a way that the right elbow is flexed (bent) approximately to 45 degrees with the anterior aspect (front side) of the right forearm and the palmar aspect (front side) of the right hand facing downwards. The right wrist and the right fingers are held straightened. 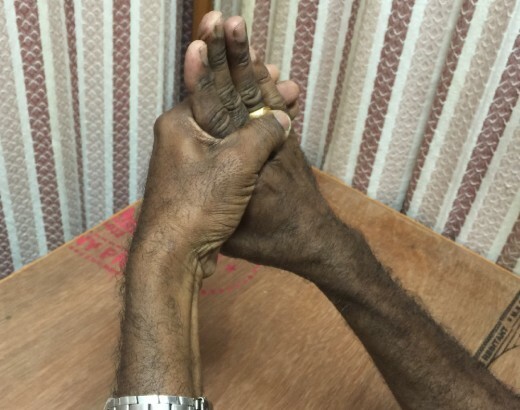 Now the patient holds his right hand with his left hand in such a way that the fingers of his left hand lies on the palmar aspect (front side) of his right hand and his left thumb lies on the dorsal aspect (back side) of his right hand. 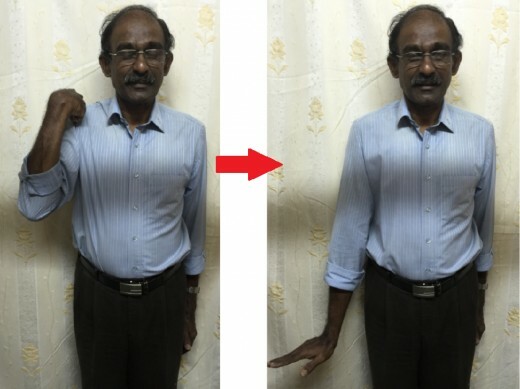 Now the patient tries to flex (bend) his right elbow (the right wrist and the right fingers still straightened) while a resistance is offered against the ‘bending force’ by his left hand which is holding it. Ie. The effort of the patient to bend the right elbow is opposed by an equal and opposite force (resistance) offered by the left hand which is holding the right hand. Hence no movement occurs at the right elbow. But the muscles on the extensor aspect (back side) of the right forearm contract isometrically. Ie. The muscles contract without movement occurring at the right elbow joint. Hold the right forearm in that maximum contracted position for 2 seconds. Now relax. Repeat the exercise 5 times, thrice a day. Repeat the same exercise with the right elbow held at varying degrees of flexion. Starting Position -The patient stands relaxed with his feet apart and the upper limbs hanging down. The patient flexes (bends) the right fingers and makes a ‘fist’ and flexes (bends) his right wrist. He supinates (facing forwards) his right forearm and flexes (bends) his right elbow with the right fingers in a ‘fist’ and the right wrist still in flexion. The right elbow is flexed (bend) till the flexed (bend) right fingers touch the right shoulder. Now the patient extends (straightens) the right elbow with the wrist and the fingers still in flexion (bend) in a sudden jerky extending (straightening) movement. The patient pronates (facing backwards) the right forearm along with the jerky straightening movement of the right upper limb. This exercise is done repeatedly several times (preferably five times), thrice a day. It increases blood circulation to the injured area and enhances the healing process. It provides a soothing effect on the painful area and hence has an analgesic effect. 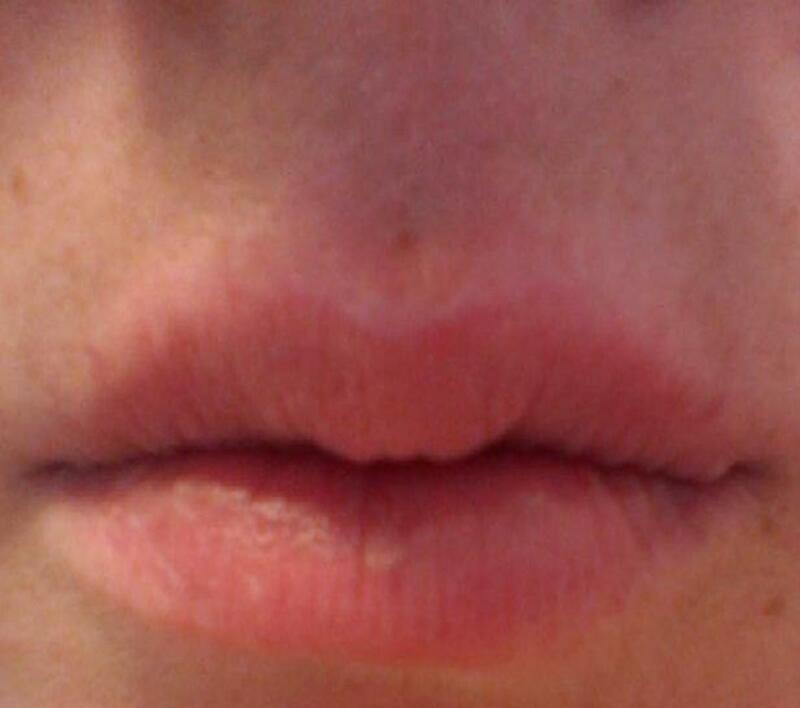 It softens the scar tissue. Starting Position- The patient sits on a chair with his right elbow flexed (bend) to 90 degrees and the right forearm fully pronated (turning inward) so that the right lateral epicondyle gets projected and comes into prominence. The physiotherapist sits on a chair near the patient facing the patient’s right upper limb. 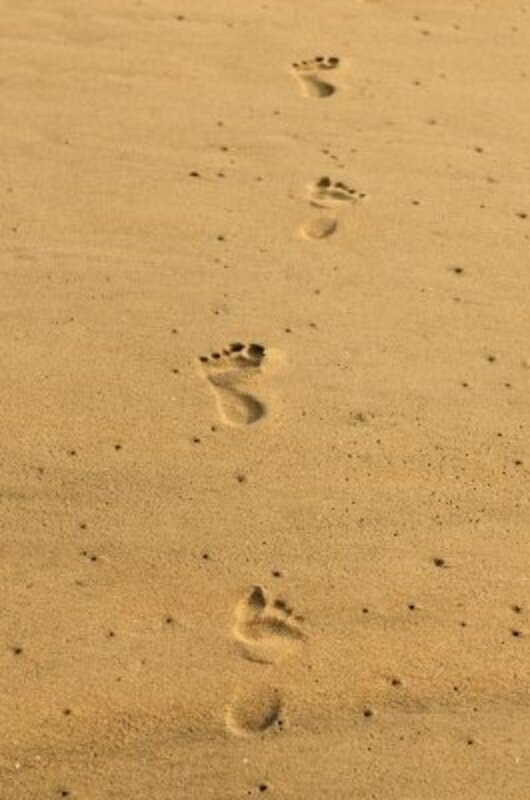 Technique- The physiotherapist palpates and finds out the exact place of pain or tenderness. Since Common Extensor Tendon takes origin from the front of the lateral epicondyle, the tender spot will always lie in the front of the lateral epicondyle. Hence the Friction Massage is to be given in the front of the lateral epicondyle. The physiotherapist holds the patient’s right wrist with his left hand and the right elbow with his right hand. The patient’s right forearm is fully pronated (turned inward) so that the right hand and the right forearm face downwards. The physiotherapist holds the patient’s right hand in such a way that the physiotherapist’s fingers of the left hand lies on the palmar aspect (front side) of the patient’s right hand and his left thumb lies on the dorsal aspect (back side) of the patient’s right hand. The physiotherapist holds the patient’s right elbow in such a way that the physiotherapist’s fingers of the right hand wraps round the medial aspect (inner side) of the patient’s right elbow and his right thumb lies on the patient’s right lateral epicondyle. The physiotherapist flexes the patient’s right elbow and right wrist to 90 degrees so that the muscles on the extensor aspect (outer side) of the patient’s right forearm gets stretched. In this position the right lateral epicondyle of the patient becomes projected and it comes into prominence. The physiotherapist keeps the tip of his right thumb against the tender spot on the anterior (front) surface of the patient’s right lateral epicondyle. Now the physiotherapist gives Friction Massage to the painful area of the patient’s lateral epicondyle with the tip of his right thumb. While Friction Massage is given a counter pressure is applied at the patient’s right elbow by the fingers of the physiotherapist’s right hand which are wrapped around the medial aspect (inner side) of the right elbow. 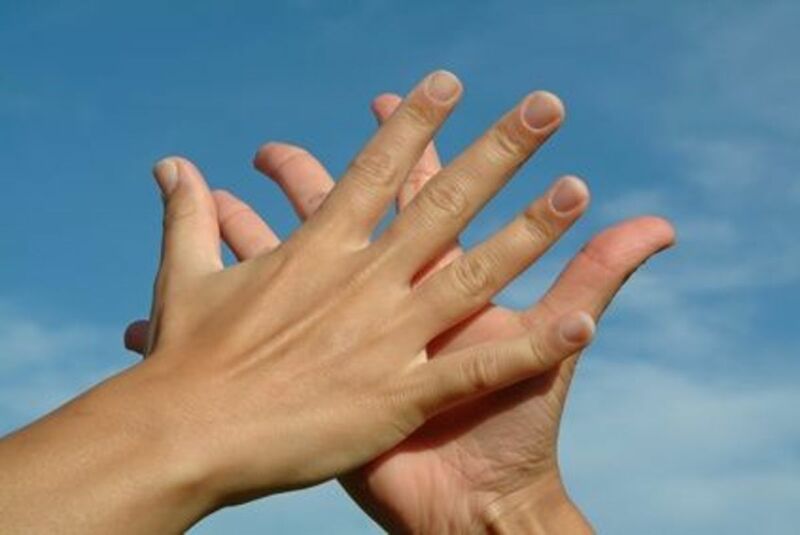 The right thumb and the right fingers of the physiotherapist move synchronously. Friction Massage is continued for 15 minutes. What is the Best Tennis Elbow Treatment?